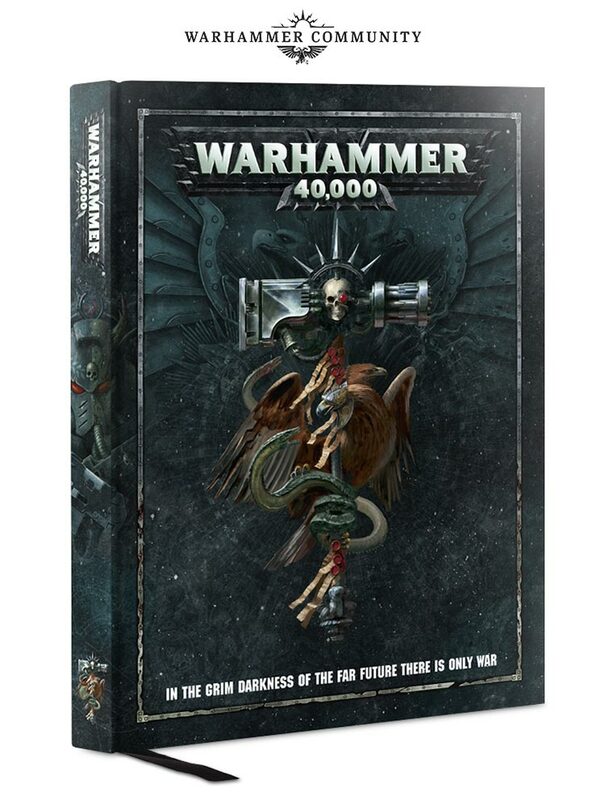 Not much to say on this, but GW released some pictures of the upcoming 40k starter box. The rumor mill says this thing is going to be somewhere in the neighborhood of $150. I think that's actually a pretty solid deal. The set has a TON of stuff in the box. 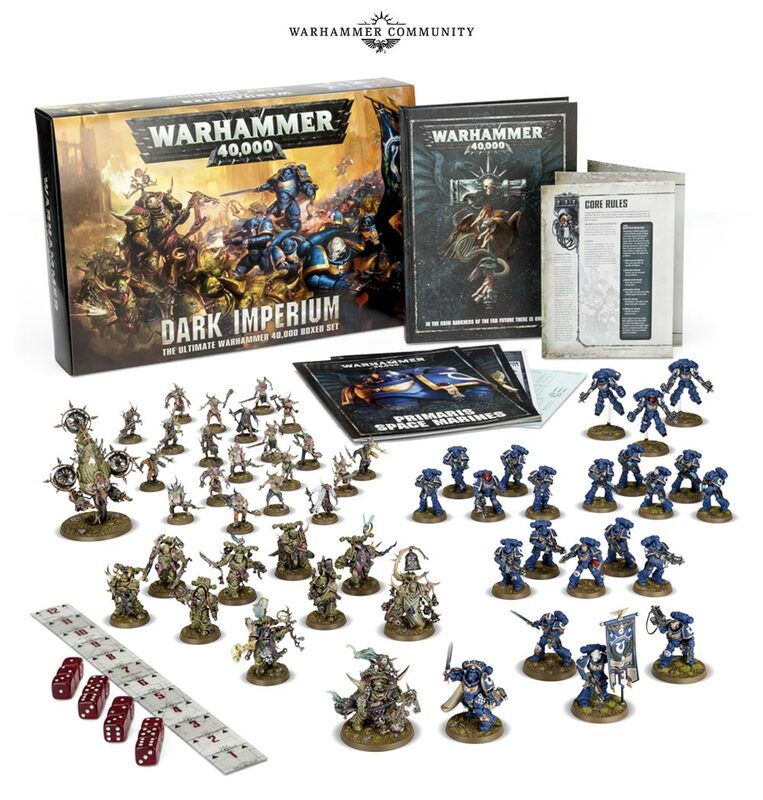 I count 22 Primaris Marines, 31 Death Guard and a small pile of rule books. First up is the Captain in Gravis Armor. Gravis means heavy in Latin, so this makes total sense. 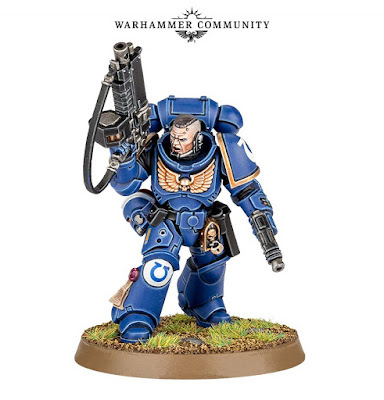 I like his Power Fist/Bolter combo. It looks like the sort of weapon Marneus Calgar has. 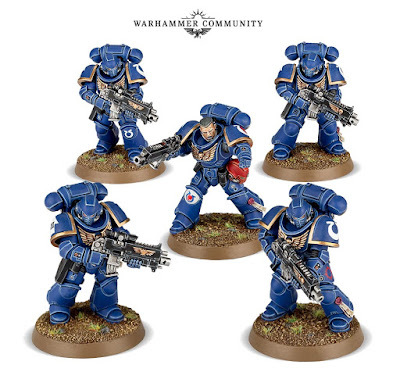 I'm wondering if Guilliman saw those Guantlets and was like "Dude... why haven't you made more of those?" 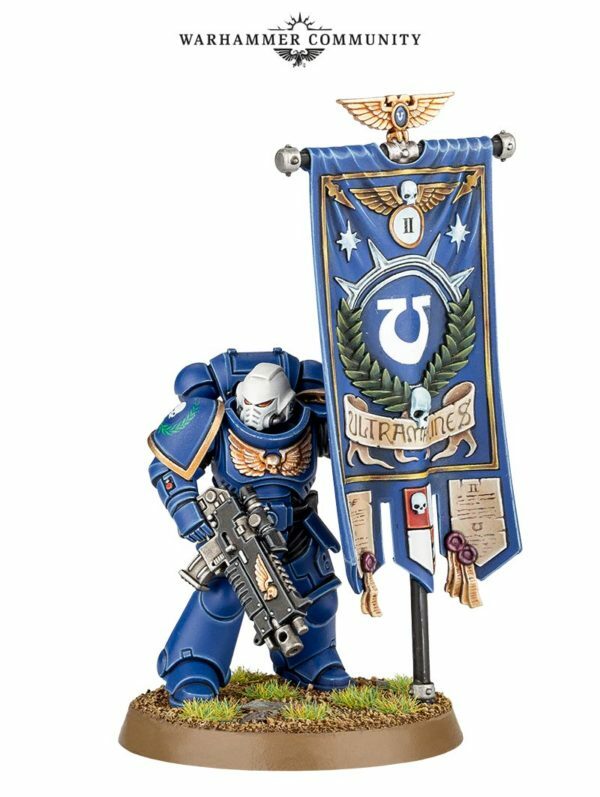 Next up is a Primaris Ancient. 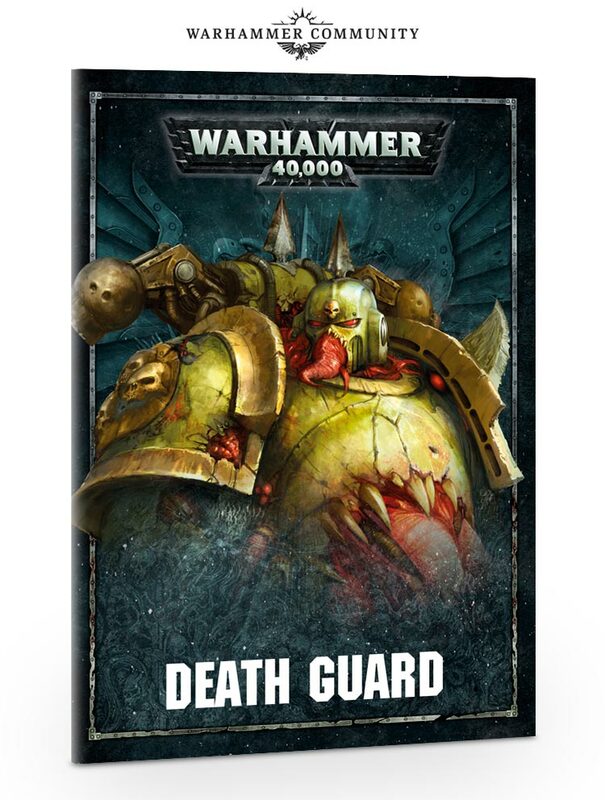 I think that's a nice way of saying Standard Bearer Dude. 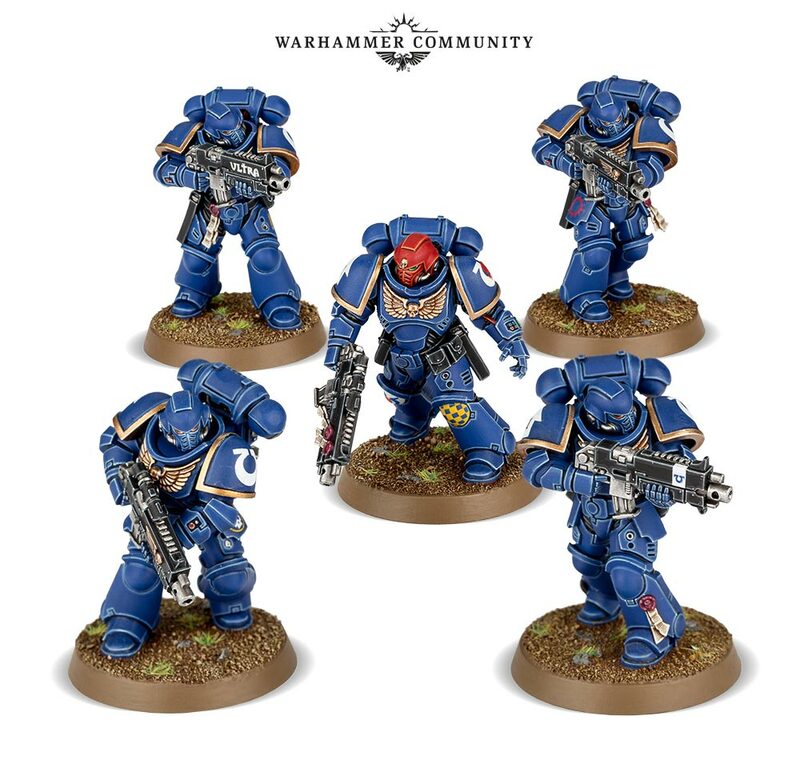 The set comes with two Primaris Lieutenants. This is a new rank for the good old Space Marines. I'm assuming that they're Captain Lites in terms of rules. It's nice that they have different weapon options. It's also amazing that the one guy has a helmet on his belt. 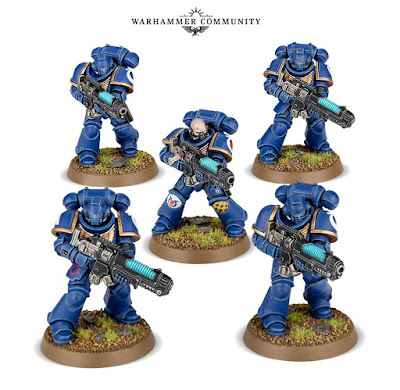 The box comes with two five man Intercessor Squads. Intercessors appear to be the standard Primaris dudes. I'm guessing that they're going to be a Troops choice. We were told that we could make armies out of nothing but Primaris Marines. That leads me to believe there has to be a Troops choice. Sergeants have red helmets, as per normal. 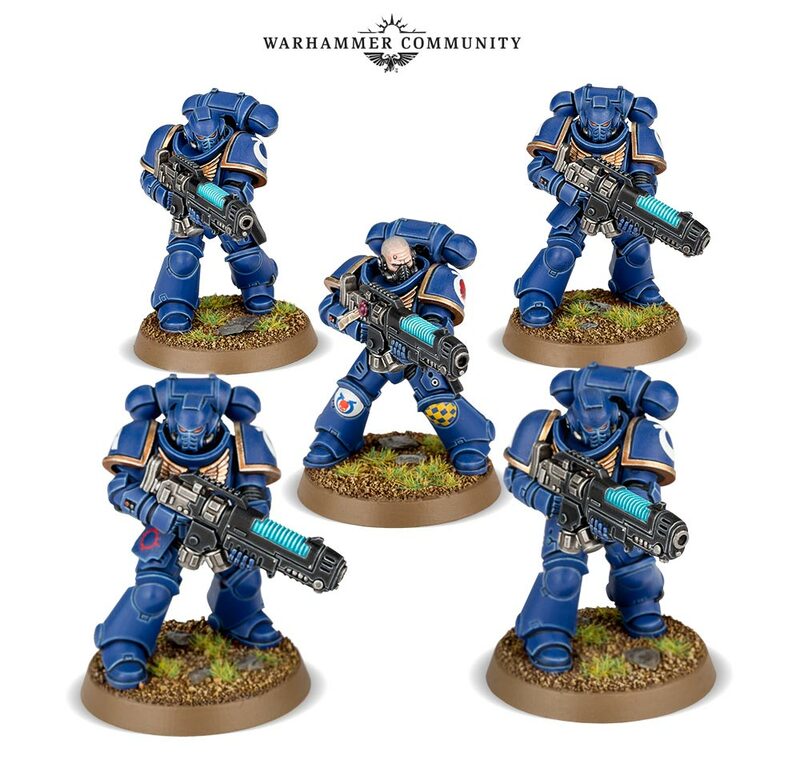 These guys are Hellblasters. What do they do? They blast the hell out of things. I wonder if they've figured out how to keep them from exploding on every 6th shot. You'll note that the one dude doesn't seem to have a helmet on his belt. 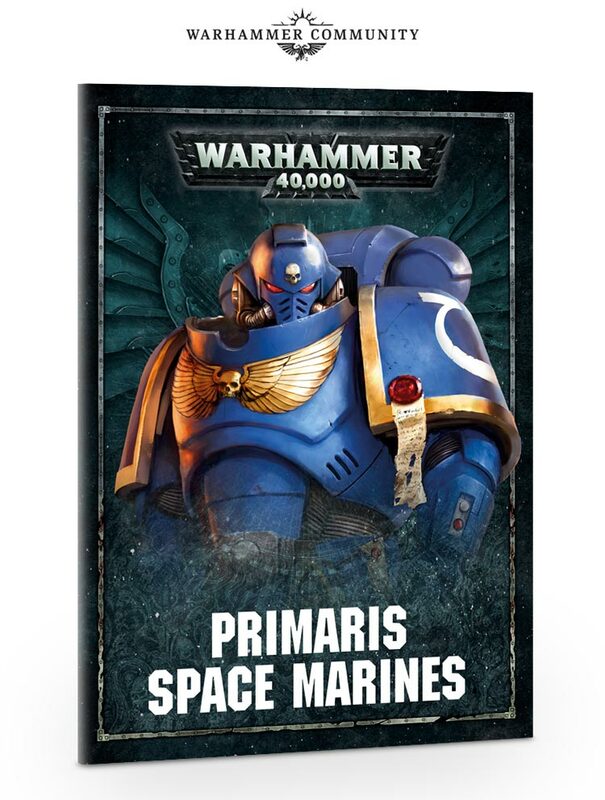 The Techmarine is going to want an explanation. 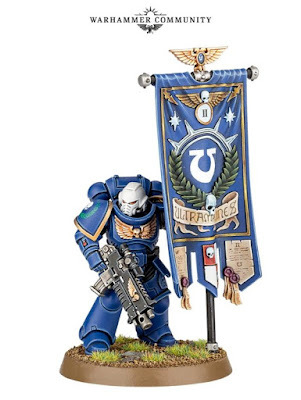 On an unrelated note, where is my Primaris Techmarine? I love these guys. I like that they're legit flying. I like pretty much everything about these models. I like the skids on the feet. 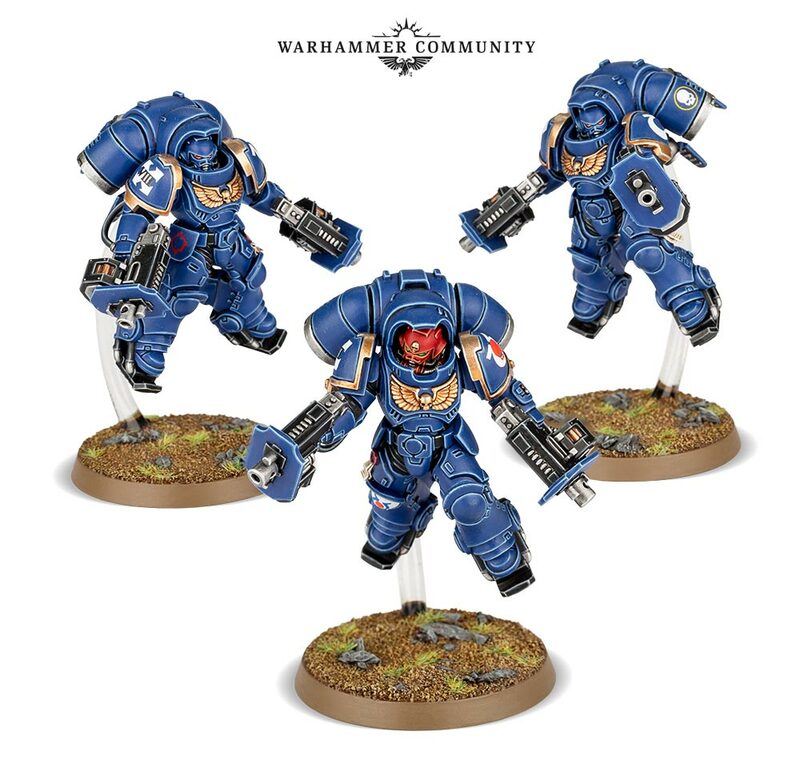 I like the rounded look to the jump packs. I like the shield on the pistols. I like that the helmets are inset into a sort of cowl. I need more of these. I hope they come in a combat version. 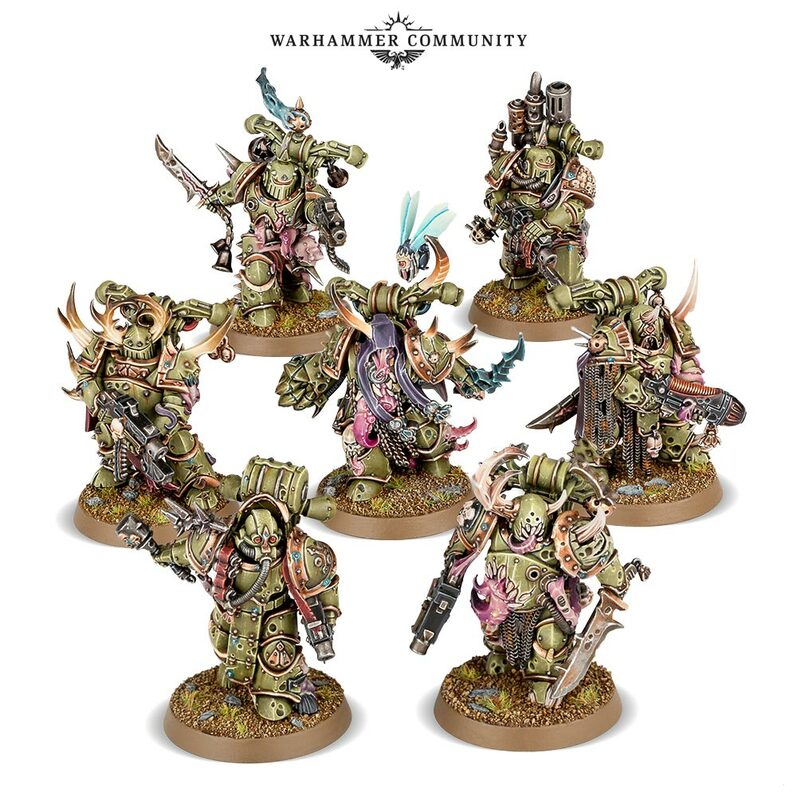 I'm less excited about the Death Guard, but man are these some seriously detailed models. 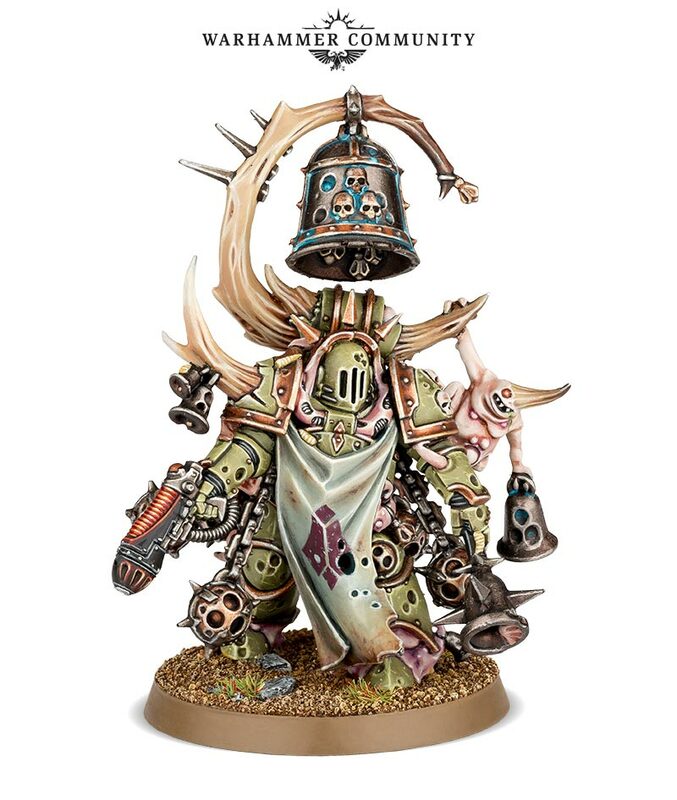 This dude is called a Noxious Plaguebringer. 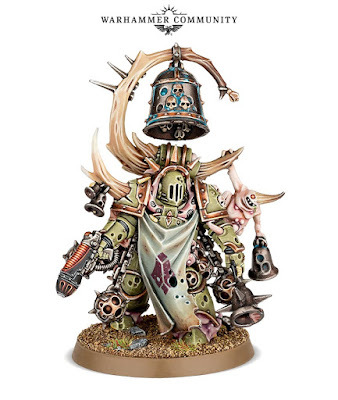 I'm going to make a bet right now that he can ring that bell to make bad things happen. Can we also agree that the tabard looks amazing? 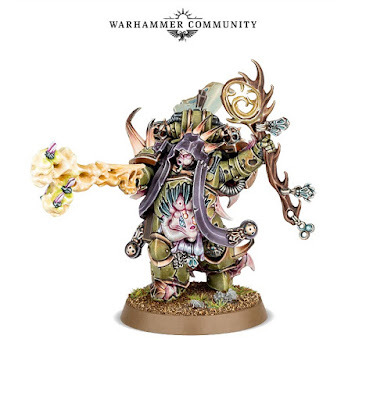 This guy is a Lord of Contagion. I'm assuming that just means Nurgle Chaos Lord. 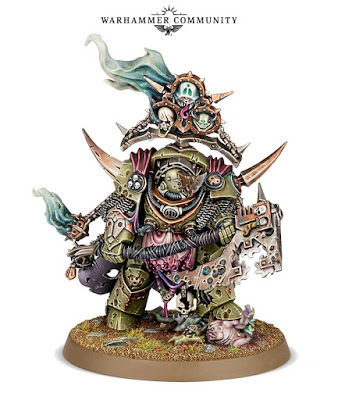 Very Orky looking axes, he has there. 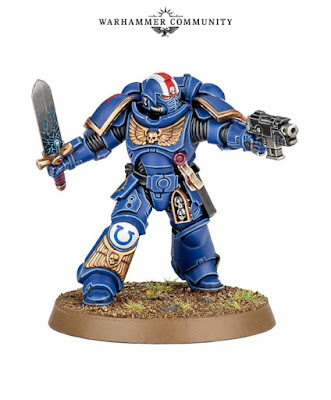 I am totally not sold on this model. His name is Baby Face McGee... err, the Malignant Plaguecaster. He's clearly the Psyker in the box. I just can't get past the face. It's way to weird looking. Standard Plague Marines. They're pretty. One of them has a Plasmagun. I assume he's not worried about it getting hot. Might kill a few flies, but... eh. They're just flies. 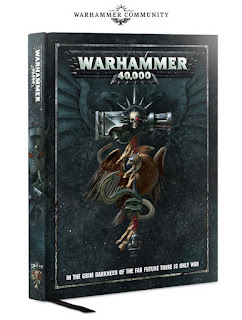 The next block of models are the Poxwalkers. 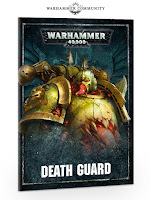 I guess that's the new name for Cultists with the Mark of Nurgle. They look pretty cool. One of them has a lab coat. I really hope he has a name and a backstory in the included fluff. Lastly, we have a Foetid Blight-drone. Are those Lascannons mounted near the bottom? I think they are. 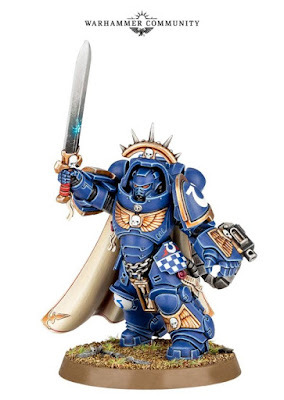 Cool looking model. The set comes with two mini-Codexes for the Primaris Marine and Death Guard along with a full, 28 page, hardbound core rule book. I'm surprised they threw the hardbound copy in the box. When can I buy this? SOON. This last bit isn't in the box. 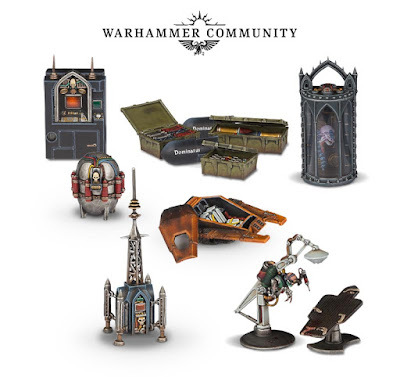 Being released at the same time is a Sector Imperialis Objectives box. How cool is that ejection pod thing? It looks like a tiny drop pod. I love the asthetic.